It's a sticky situation for sure. Cookies help keep ads relevant and, not to be forgotten, aid in making a person's web experience better by remembering an individual's set up preferences for a particular site as well as shopping cart contents and to allow access to password protected sites without having to re-enter login information each time. Some of the reasoning behind anti-cookie movements are due to misconceptions. 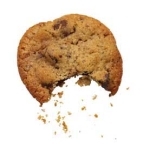 While we hope the cause groups in question have done their homework, many people incorrectly believe cookies are spyware and/or viruses when, in fact, they're harmless text files. From a privacy standpoint, people probably should be able to control whether and how their online behavior is tracked. From a simplicity standpoint, the establishment of a Do Not Track function, at least at the outset, could cause confusion and bewilderment until people realize cookies can actually be good and aren't the privacy killing mechanisms some paint them to be. Still, there's no harm in exploring the cookies place in online marketing and, as a result, other methods that don't tread too heavily on people's right to privacy. Wanna bet the TV networks are part of this? If they didn't prod the privacy groups into this action I'm sure they'll provide support now that the effort appears to be gaining traction. Like a gift from above. Cookies should be like e-mail - a person should be able to "opt-out." With that said, I personally wouldn't want to opt out of any of my current personal cookies; they save me time and inconvenience in having to rekey the same information over and over again. The people behind the "Do Not Track" movement must not be very computer literate, otherwise they would see the benefit in cookies also. Okay, so maybe I'm missing something here but...everyone already has the ability to block cookies in their own browser. So why do we need government regulation or some political advocacy group to set up an organization or system for something that is already easily done. Maybe they should spend their time teaching people who are interested, how to block their cookies via their basic browser menus.